Lukes Kitchen and Bar is coming to Maitland this January and will be serving up delicious American fare, signature cocktails and a unique dining experience! 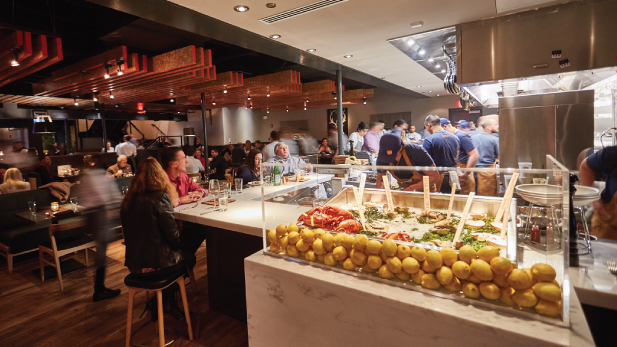 Park Lights Hospitality Group, the brains behind Luma on Park and Prato, welcomes Lukes Kitchen and Bar as the third concept of their restaurant group. Executive Chef Derek Perez and Chef/Partner Brandon McGlamery are teaming up to serve seasonal ingredients and responsibly-sourced protein in an interactive kitchen environment. With menu items including Pork Belly and Deviled Eggs, Raw Oysters, Prime Rib and house-made Parker Rolls, the menu at Lukes has something for everyone. The extensive craft cocktail menu is inspired by timeless American libations and uses house-made ingredients that complement the menu. Aside from seasonally rotating craft cocktails, the wine program at Lukes will focus on domestic wines that pair well with each bite, with proper representation for international regions and varietals. Artisanal craft beers will also be available on draft, bottles or in cans. Lukes will be the perfect staple for the Maitland area bringing classic American cuisine, with a modern twist!